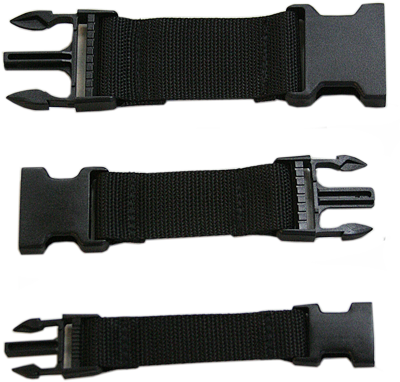 The Girth Strap Extension is made with heavyweight poly webbing. If you want to use the same vest on your dog, even after he has grown, use the strap extension to expand the girth strap. It fits our vests and harness vests.